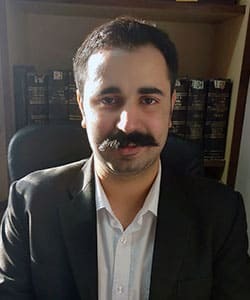 A graduate of Law and Arts from Army Institute of Law (AIL), Mr. Yash Dalal strives not to be a specialist in one particular field of law per se, but to have a general and in-depth knowledge of every area of law. An avid debater during the formative years of his college, he participated and adjudicated some of the debates in parliamentary format held at National Law Institute University (NLIU) in Bhopal, Hansraj College of Delhi University, Punjab Engineering College (PEC) in Chandigarh, and among many held at his own college. During his time in the Institute, he did projects and seminars on varying subjects, from Plato’s dialogue Timaeus, the World Trade Organisation (WTO), the Dowry system in India, the evolution of Dictatorship(s), the Presidential Elections, the aspect of Tribunals in India, the Economic viewpoints of Competition and Industrial Finance, the idea of Maintenance in Muslim Law, the Constitutional aspect(s) of Ecotourism, the International Labour Organisation (ILO), the system of Share Capital, the idea of Minimum Wage; to the Uniform Civil Code (UCC), the conceptual method to prosecute Child Abuse, Victim’s status in the Criminal Justice System, and the Convention on the Elimination of All Forms of Discrimination against Women (CEDAW), along with many intra-college moots. Limiting his ambitions not to the domain of law only, Yash also has inclinations towards art and craft as well and participated in many art and cultural festivals held at Indian Institute of Technology (IIT), Ropar and was a consecutive runner-up in art competition(s) held at Punjabi University, Patiala. In the domain of law, he strives to resolve every situation with research, logical analysis, and accounting for the jurisprudential and legal aspects of the same.